In the previous tutorial, I have shown you how to install Spring Boot CLI on Windows. This tutorial, I will guide you to install it on Ubuntu! 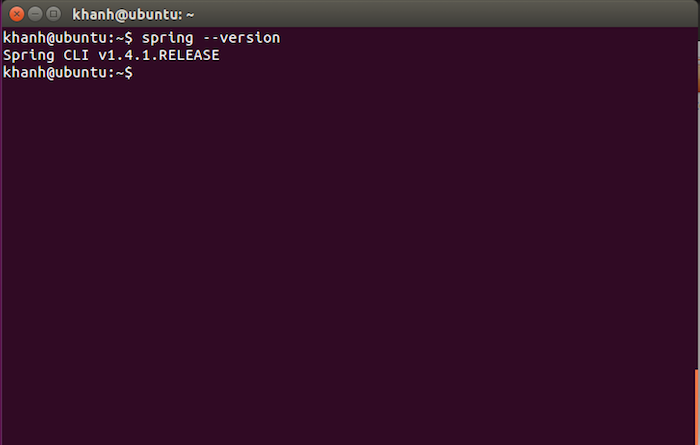 First, download the latest version of the Spring Boot CLI for Ubuntu at http://repo.spring.io/release/org/springframework/boot/spring-boot-cli/. 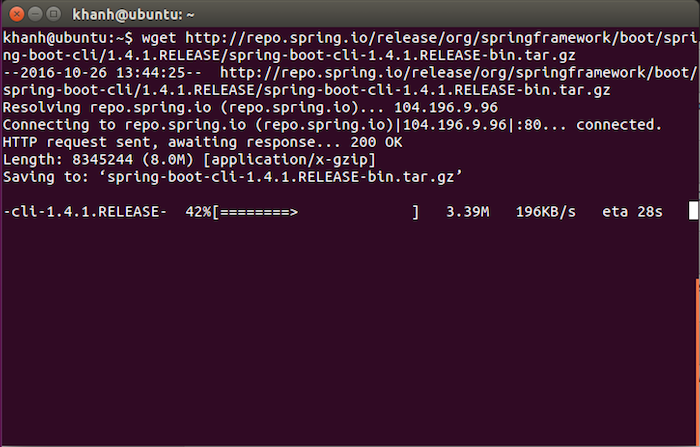 Currently the latest version of Spring Boot is 1.4.1 so the file to be downloaded will be the file spring-boot-cli-1.4.1.RELEASE-bin.tar.gz. If you have a newer version, you can do the same! After downloading, please use the tar command of Ubuntu to unzip the download file! Now, we will add the environment variable for Spring Boot CLI! With /home/khanh/spring-1.4.1.RELEASE/bin is the path to the bin directory of my Spring Boot CLI directory, replace it with your own directory. Logout and login or run the following command in order to our configuration is effective!